Focus™ had a successful community outreach event at Ace Comic Con in Seattle where they were joined by #ChrisEvans, #ChrisHemsworth, #TomHiddleston & more at the event between June 22-24 at the WaMu Theater ! We had a very successful community outreach event in raising autism awareness at ACE comic con. 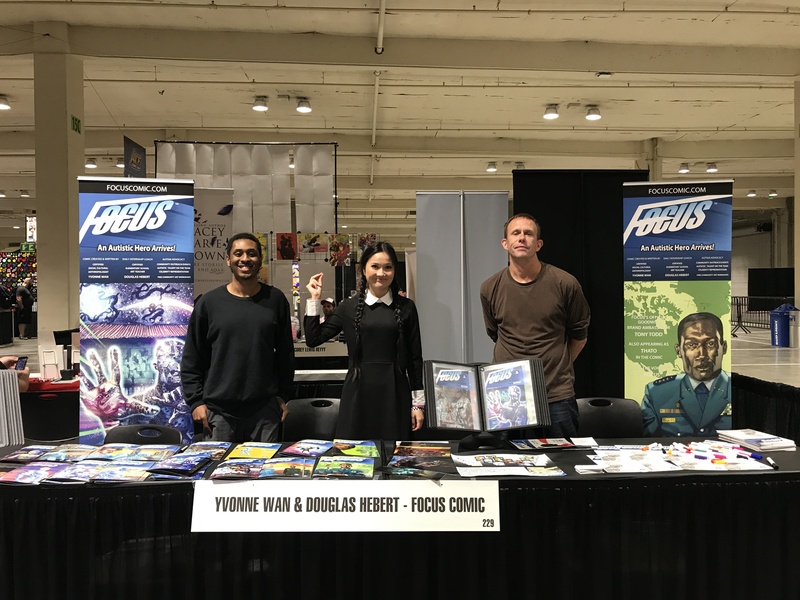 Attending the event was Sole creator of Focus Comic Yvonne Wan; main artist and internship coach, Douglas Hebert, Autistic intern Tabidi. Douglas Hebert who is also a certified art teacher, provided a free art work shop for kids at the show for the extended weekend. We gave away some great prizes, and our sole creator Yvonne Wan presented the prizes. Special guest Wendy (a representative of Embassy Suites Pioneer Square) had the pleasure of presenting the main prize during the award giving ceremony. Many thanks to Office Depot for sponsoring the community coloring competition and many thanks to Office Depot, Embassy Suites Seattle Downtown-Pioneer Square, Strathmore Artist Papers; Jimmy’s on First, Blick Art Materials for providing community prizes and giving back to the community. Thank you to everyone who participated in our community coloring competition.